…Spoke up authentically and honored your truth in a difficult conversation. …Started each day with your self-care routine. …Put yourself out there and met a whole new circle of like-minded friends who you can be real with. Here’s the secret, Paula, it’s not about what you did; it’s about who you are BEING. You feel lighter, joyful and free – like you’ve just come back from your happy place at the beach. But you didn’t go anywhere, you’ve just finally learned how to create balance in your life,and because of that, you’re feeling at peace and able to focus on the things that will bring you even more joy and fulfillment. Gone are the days of giving everything to everyone else or feeling pulled in a million directions. Instead, you feel calmer, at ease and able to finally just breathe. Last Friday, on International Women’s Day, I went live on Facebook to reveal 3 secrets to having more balance now. If you missed it, click here to check it out on my Facebook business page. Or watch it on Youtube by clicking here. The Dali Lama says “The world will be saved by the western woman,” and I believe we have been already doing this in many ways. But, I also believe that today, we’re being invited to step forward and do this in a new way. A way that doesn’t have us martyring ourselves, depleting our systems or putting our needs last on the list. 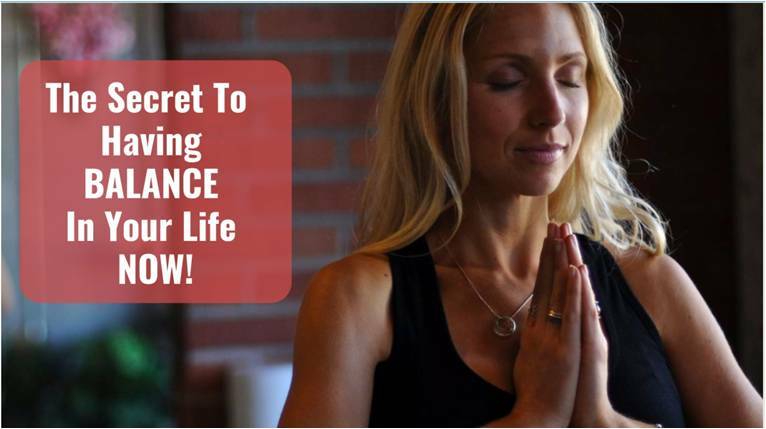 If you are then watch this Facebook Live with my top 3 secrets to having balance now and tell me which one you’re going to get in action with this month. Because the time is now for you to stop hemorrhaging power by spreading yourself so thin, so you can fully show up in the ways that you know you’re here to. We’ve got work to do, love to spread and a whole lot of people to hug. P.s. 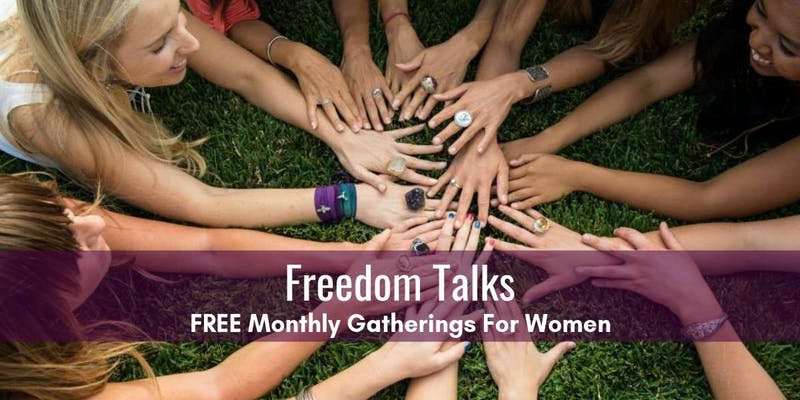 You coming to the Freedom Talks Monthly Gatherings for Women on March 24? And for many of the women I get to work with, that deeper meaning and purpose involves shining our light so we can help others on their path. Do you have that calling too? That calling to use your voice, share your story and help others know they aren’t alone. If you do, then I want to share with you the #1 thing I’ve found that takes that desire from a dream to a reality. That’s right, becoming fully congruent. See, I’ve been put on this planet to help women who know they’re here for something bigger get free from the addictions and sabotage patterns holding them back so they can truly and authentically shine their light and help others. Last week you might have seen that I opened up my calendar for 2 private mentorship spots. Are you ready for your next level of freedom? Please do not apply if you’re not REALLY ready for massive up-leveling! Because I don’t mess around. If that’s you, then let’s chat. Grab a spot on my calendar to schedule an interview here. Or email [email protected], and my team can answer any questions you may have. I’m taking a stand for your transformation. Because I know that as you step into your own congruent, authentic light, not only will your life completely up-level, but you will automatically light up others, including your family, your colleagues and those you’re here to help. Your calling is so much bigger than you, but it starts with you saying YES to you. I’m also gifting you over $15,000 worth of my programs. I’ve seen the transformation that occurs when women come together in support and sistership as they move through their path of freedom, and I’ve seen how much further woman can go when they know they’re not alone. The entire Freedom From Food Addiction Program and Freedom Embodied Academy FOR FREE, which is over $15,000 of value. 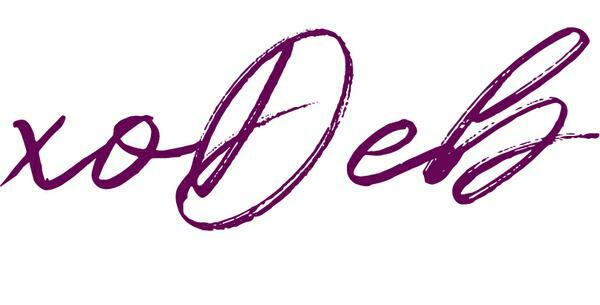 So, essentially, you get the advantage of private, one-on-one time with me where I can really customize and tailor the work specifically for you, while having full access to all of the intimate group retreats, monthly trainings, coaching calls and, of course, sistership and support of the women in the Freedom From Food Addiction Program and Freedom Embodied Academy, for FREE. If this calls to you, schedule an interview directly with me by clicking here. Again, please do not apply if you’re not REALLY ready for your next level of freedom, joy, presence and confidence. But the problem is you don’t authentically feel it. It’s super common among smart women on a spiritual path. In fact, a lot of the ladies at the last Freedom Talks Gathering related to feeling this way. If you relate too, I want to share with you a game-changing tool I give myclients right when we start working together. This tool helps you launch beyond the self-blame so you can get on an authentic and embodied path of freedom. Because what I find is that most women who come to me are constantly judging themselves for not doing what the think they “should” be doing. What they don’t realize is that it’s the judgement that is actually hijacking their freedom, not the thing they’re judging! So if you want a more authentic way of being, then I have a suggestion for you. Stop trying to “accept” things. See acceptance is one of those spiritual terms that we try to make ourselves do but don’t or can’t actually embody. This is because we tend to say we need to accept something (a.k.a. be cool with things just as they are), when actually all we really want to do is make it go away. You can’t accept something and also have an agenda. So instead of accepting, I invite you to do something else. Embrace what is in this moment. Embracing what is not trying to change anything but rather creating space for all of the disparate and conflicting feelings that are going on for you. It’s wrapping your arms around the fullness of your experience right now, without making any of it wrong or trying to make it change. ….Embracing that there is a part of you that judges the part of you that judges you for wanting to change what is. When you embrace, you stop bracing against or resisting, and this, more than anything, is what actually allows it to begin to transform. P.s. Do you want access to the recording from last Sunday’s Freedom Talks? If so, email [email protected]. And, make sure to save your spot for the next Freedom Talks on March 24th now. Click here to register.